Last Sunday I had my third black belt (sandan) test for aikido. To prepare I was thinking about what I wanted to express during my test. My pondering brought me to my reasons for practicing aikido and what was bringing me back to the mat over and over again. For close to 25 years now. While training for an extended period at Patrick Cassidy sensei’s dojo in Montreux, Switzerland, I was introduced to their ritual of writing an essay reflecting their aikido practice as part of the black belt test: what aikido meant for them, the impact on their life’s and in the world. 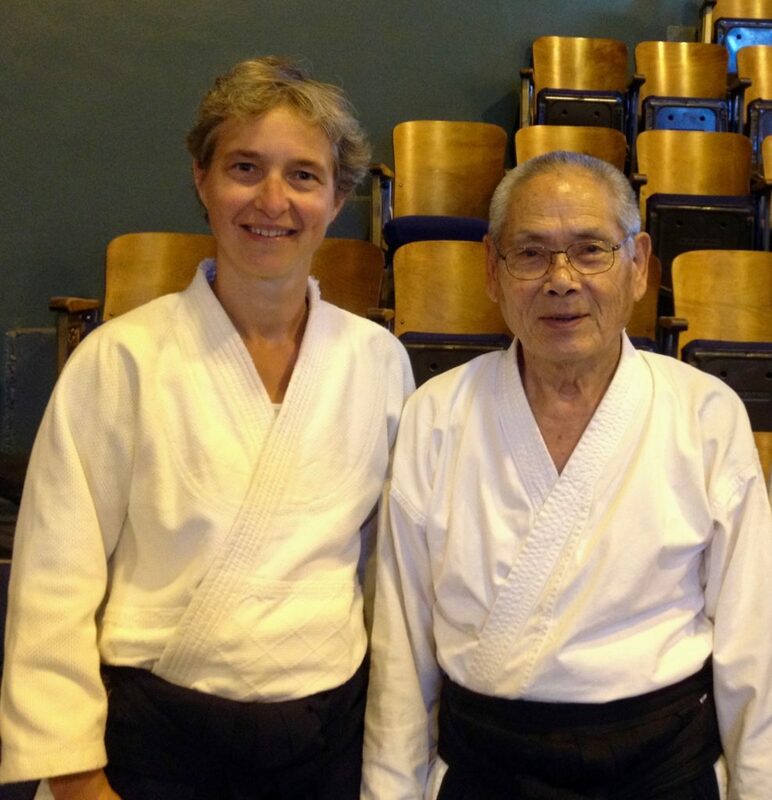 Although we have no such thing here in the Netherlands I would like to use this blog post to share my thoughts about the meaning of aikido in my life and my presence in the world. Thinking about it many different words came to mind: conviction, doubt, depth, worry, significance, meaninglessness. Let me see if I can address and clarify those widely different perspectives. Since aikido touched my heart it has been a profound part of my life. Not only on the mat. I discovered, and still experiencing it today, that the way I handle interactions and confrontations in daily life is very similar to how I interact with the attack of uke (my training partner). That realization opened the opportunity to use aikido training to change my patterns and polish my spirit. It turned out that O’sensei – the founder of aikido – developed an art that made it possible to train yourself, through physical practice, in: how you want to show up in the world, connect with others and deal with pressure and opposition in a relaxed way. Practicing aikido in many different locations around the world I have seen how it connects people. How people enjoy practicing an art where there is no winning and losing. Only following the path of their own personal growth and discovering how every interaction informs that path. What aikido taught me is that I need others in order to polish my spirit. My physical response in the interaction informs me about my mental response. Becoming aware of that link opens the possibility to change my physical responses and with that, my way of perceiving the world, and vice versa. 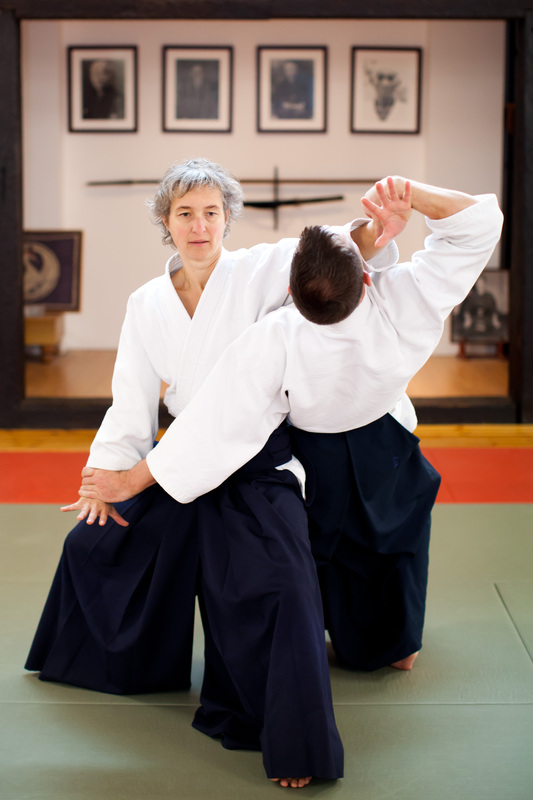 I started practicing aikido at work by translating interactions with co-workers and patients into aikido encounters. Noticing my physical responses I became aware of my mental beliefs and judgments. And becoming aware of my mental patterns, I started to recognize how they showed up in my body. With that awareness I was, for the first time, able to effectively change my behavior. I started to experience the same joy of interacting with others as I did in my aikido practice in the dojo. It convinced me of the power of the basic principles and philosophy of aikido as developed by O’sensei: to create a better environment. Not only on the mat but also in our daily interactions. What would happen to our working environment, where winning and losing seems the most important ingredient, if we adopted O’sensei’s way of thinking? My belief is that organizations could become a place where we are able to thrive and prosper as a human being, instead of being depleted and getting burned out. I feel that my mission in live is to contribute to that change, which is so much needed in this world right now. And that is where the doubt kicks in. In face of all the things happening in the world right now – the violence, disunity, the chasm between poor and rich, left and right, different religions – it feels opportunistic and futile to think that this, that I, can make a difference. Coming from such a privileged place, what do I know about what is really happening? The mountains to be climbed seem too high and too dark. Do I even have the skills and knowledge to begin, nevermind make it to the top? I feel the inclination to give up, to hand myself over to the negative tendencies at play in the world. When the doubt kicks in, again and again I need to cling to the words of someone I had this conversation with, who said: “There always needs to be yin and yang. Your work is very important because we need this other side as well”. And that was what I saw happening after Donald Trump won the elections. Many of my American friends were devastated. But in the days to follow I saw a change in their responses. The tone changed from devastation into one of conviction and action. I heard a determination to make a change in their daily actions, to make more conscious choices in the way they would want to express themselves and interact with the people in their direct environment. It reminded me again that we can only change within, making choices in how we want to show up in the world and the way we interact with others. Which brought me back to my aikido practice. I know, from many years on the mat, that the intention with which I practice and interact with others will influence that connection. And so often I still do not show up in the way I would like to. How and where can I open, listen and connect more? Giving room for the other person and myself, no matter our differences? Responding instead of reacting. It is not an easy journey, frustrating and challenging at times, but so often joyful and inspiring. Exactly that journey is bringing me back to the mat again and again. Every encounter is helping me to polish myself and to work on ‘victory over myself’. Because there ís no enemy, only someone else that is showing you where your own work needs to be done. I keep coming back, with my bare feet on the mat, to help me to contribute what I can, to make my, and this, world, a more peaceful, connecting and loving one. I would like to end my reflections with a quote from Anno sensei in Journey to the Heart of Aikido. His words, translated by Linda Holiday sensei, are a great inspiration for my aikido and life. Reading his words in preparation for my sandan test helped me to express what I wanted to demonstrate: an open heart, soft connection and gratitude. May this path keep guiding me in my life. Karin Karis zet mensen duurzaam in beweging. Zij is auteur, leiderschapstrainer en -coach. Haar insteek: van je hoofd naar je lijf! 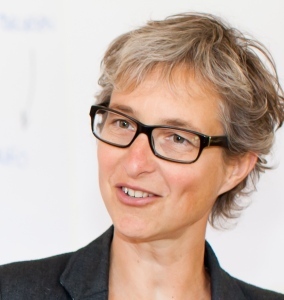 Karin is expert op het gebied van embodied leadership. Leren waarbij je lijf de essentie is. Zij gelooft dat leiderschap ontstaat door bewust en actief richting te geven en verantwoordelijkheid te nemen voor de keuzes die jij in je leven maakt. veranderen we de omgang met onszelf en de mensen om ons heen. Keuzestress, wat doe je eraan? Prachtig verwoord! En heel inspirerend!